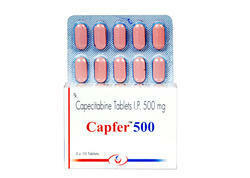 Offering you a complete choice of products which include carboplatin solution for injection, etoposide injection, capfer 500 mg (capecitabine), capnat 500 mg ( capecitabine ), lenalid 5 mg ( lenalidomide ) and topzar 40 mg ( pantaprazole ). 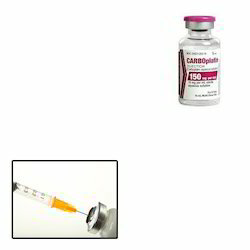 Backed by rich industry experience, we are supplying, wholesaling and trading Carboplatin Solution for Injection. It is a platinum coordination compound that is used as a cancer chemotherapeutic agent. Superior quality packaging material is used by experts to ensure safe transit of the offered medicines at clients’ premises. 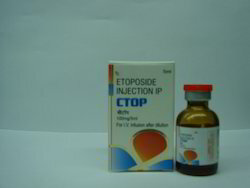 We are counted among the best names of the industry that is engaged in providing a wide spectrum of Etoposide Injection. 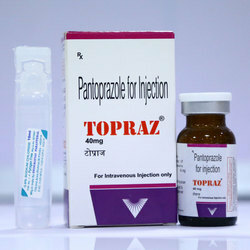 These products are prepared by utilizing the superb quality basic substances as per the set medical standards. Offered products are admired by the customer for their long shelf life and accurate formulation. We are offering these products at nominal market price. 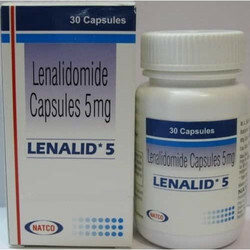 Manufactured By VERITAZ HEALTH CARE LTD.
MYLERAN(Busulfan)antineoplastic to treat chronic myelogenous leukemia,polycythemia vera and myeloid metaplasia,Essential thrombocythemia. 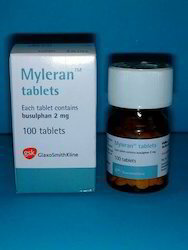 Myleran in uk,Busulfex IV in usa,Busilvex. 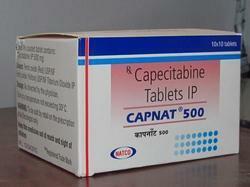 Looking for Cyclosporine Capsules ?